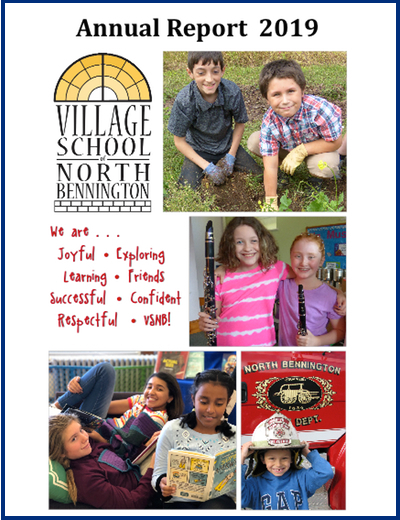 Village School of North Bennington | Welcome to the VSNB! 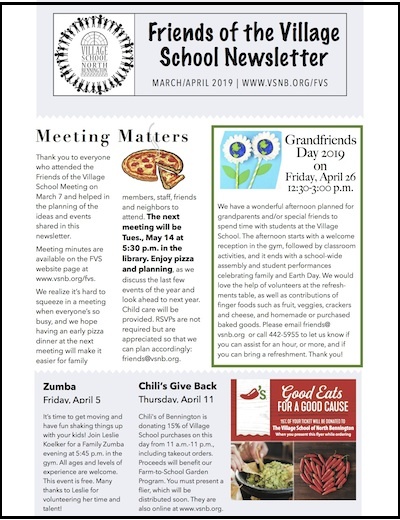 We have a wonderful afternoon planned for grandparents and special friends to spend time with students at the Village School from 12:30-3 p.m. 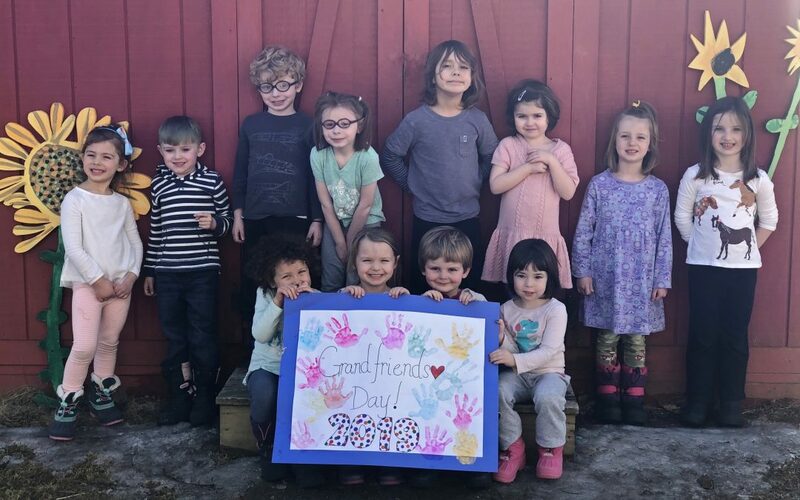 The afternoon starts with a welcome reception in the gym, followed by classroom activities, and ending with a school-wide assembly celebrating family and Earth Day. 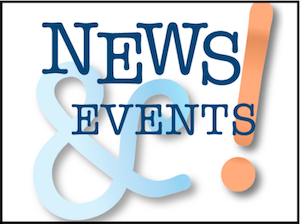 Girls on the Run (GOTR) started Tuesday, March 5 and is “running” every Tuesday and Thursday until mid-May. The group meets at 3 p.m. in the music room. 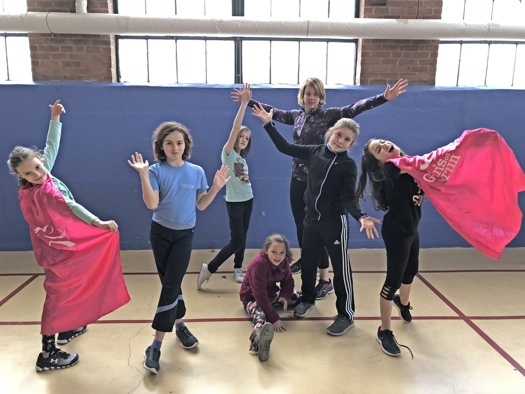 GOTR inspires girls to be joyful, healthy and confident using a fun, experience-based curriculum that creatively integrates running. 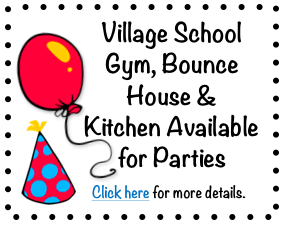 If you have any questions, please reach out to Laura Cary at lcary@vsnb.org. Students, families, and staff went all out for Book Day! Thanks to everyone who participated, and congratulations to all on some really great “favorite book character” costumes! 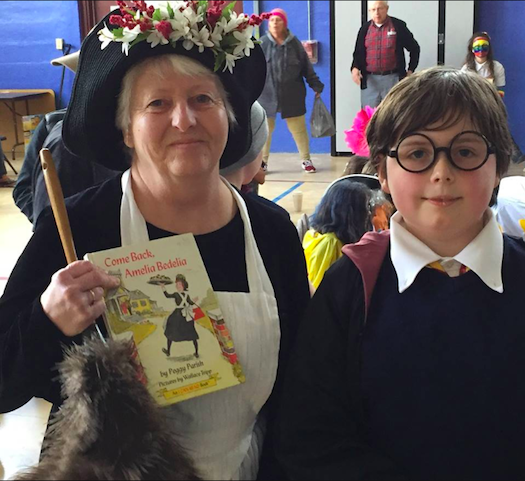 Everyone enjoyed the parade of book characters at the Fantastic Friday Assembly and several book readings by Head of School Tim Newbold, as well as time for all of the students to read a book with their reading partners. 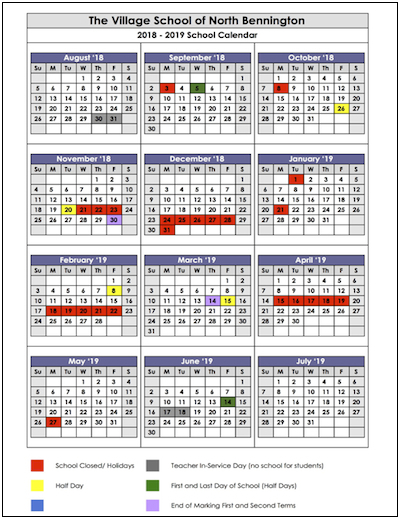 Stay tuned for more exciting literacy events during National Reading Month (March).